Consequences with kids are tough! Teens are even harder! How do you create consequences that stick? As a parent, what is a good way to make sure you stick to those consequences? 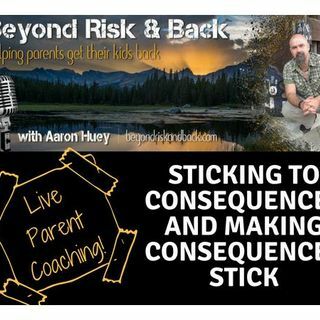 Join host Aaron Huey on one of his live coaching shows with parents! Aaron is the founder of Firemountain Residential Treatment Programs located in beautiful Colorado.